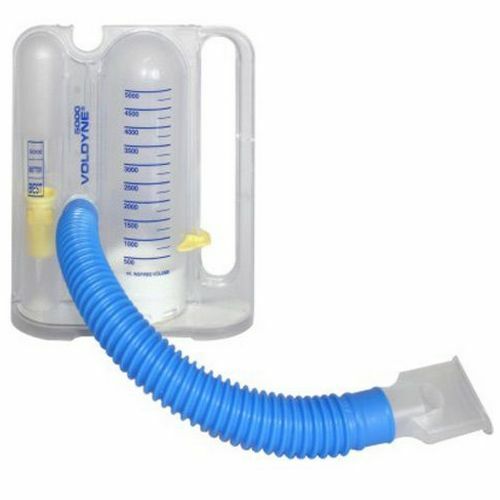 The HUDSON RCI 5000 Voldyne is an incentive spirometer that provides volume measurement up to 5000mL. This accommodates large inspired volumes. The Voldyne 5000 Spirometer has a "Good - Better - Best" flow window. It has an advanced, low work-of-breathing design with an adult mouthpiece.